The moment that zombie fans have been waiting for is finally here, The Walking Dead season 2. The next season returns on Sunday and fans are excited to get back into the action and watch their favorite characters kill zombies, and try to survive. This year fans can expect more, along with the show taking a new direction away from season 1. In season 1, the show mostly focused around the Atlanta metropolitan area, but now they will be heading out into the countryside. They are leaving the city behind and moving on. 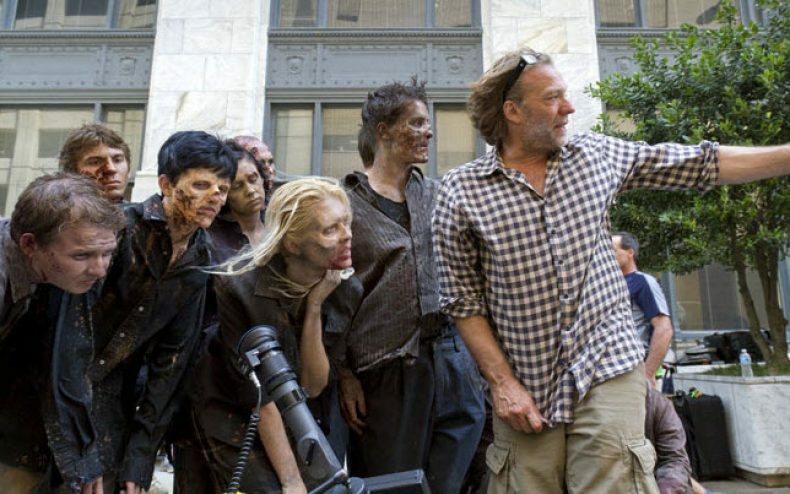 Season 2 begins without one of people that made the show a hit, Frank Darabont. Frank and AMC parted ways earlier this year after some disagreements in which led to them splitting up. However, just because Frank has moved on we shouldn’t expect anything less this season. Unlike season 1, this years continuation will feature 13 episodes that will let fans stay along for ride much longer than the 6 episodes of last year. Meanwhile, fans have been getting riled up and AMC has been promoting the show even more. AMC has put together several Facebook apps, sweepstakes, and trailers to help bring in the fans. The premiere episode titled, “What Lies Ahead”, gives an inside feel for what episode 7 will be about. Also released is the title for episode 8, which will be known as “Bloodletting”. AMC will show the complete season 1 prior to Sunday nights season premiere starting at 2:30 PM EST. They will run the episodes in sequence, which gives people and excellent time to get caught up in case they missed season 1. Following the premiere, we will get to watch the first television show that is featured around The Walking Dead, “The Talking Dead”. Let the zombie killing resume, and sit and watch the biggest television series out there starting on Sunday at 9:00 PM EST. The Walking Dead season 2!